Rupert Murdoch speaks regularly by phone with President Trump. But Murdoch also makes his views known to Trump through his newspapers and television networks. Lately the messages in those outlets have not been altogether positive for the president. 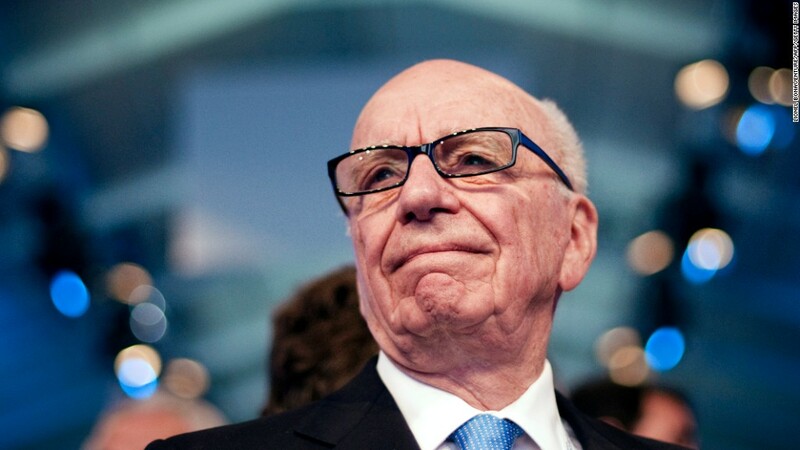 The conservative media mogul's papers have run a series of critical editorials and stories, spurring speculation among observers that Murdoch is trying to get through to the president. Murdoch's most prestigious outlet, the Wall Street Journal, ran an eye-popping editorial in its conservative-leaning opinion pages on Tuesday. Titled "The Trumps and the Truth," the editorial scolded the president's family for withholding information about Russia-related meetings and discussions. It said the political realities of Washington "will destroy Mr. Trump, his family and their business reputation unless they change their strategy toward the Russia probe. They don't have much more time to do it." The editorial also said that "denouncing leaks as 'fake news' won't wash as a counter-strategy beyond the President's base, as Mr. Trump's latest 36% approval rating shows." It was the latest in a series of eyebrow-raising editorials. Last week Murdoch's New York tabloid, the New York Post, labeled Donald Trump Jr. an "idiot" and "criminally stupid." President Trump grew up reading the Post and still has it delivered at the White House, so the editorial may have caught his eye. It came on the heels of another blunt assessment by the Post's editorial board last month. A three-word editorial about Trump's Twitter habits at the end of June said, simply, "Stop. Just stop." Murdoch and Trump have had a complex but often mutually beneficial relationship for many years. And Murdoch has a history dating back decades of using his media outlets to express his political points of view. This has been the case in the United Kingdom as well as the United States. Over the weekend one of his British papers, The Sun, published what it said was a "transcript of the chat" between Trump and British prime minister Theresa May. The leak was embarrassing for Trump: The headline was "Donald Trump begs Theresa May to fix a 'warm welcome' for his state visit -- and says he won't set a date for it until he knows he's going to get 'a better reception.'" Despite the high-profile criticism, a perusal of Murdoch's papers also turns up many supportive words about the Trump administration and its GOP agenda. And Murdoch's Fox News Channel is a reliable source of pro-Trump boosterism from morning until night. But some critical voices have gained attention on Fox, too, including Charles Krauthammer, who recently said "bungled collusion is still collusion."